This was a lousy garnet cab with a big crack in it. 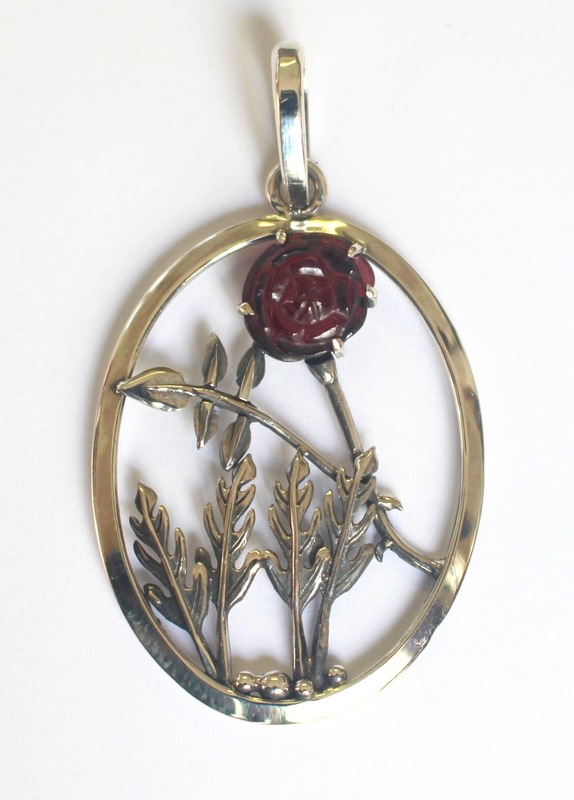 I broke it along the crack and carved the rest into this rose, and made a pendant to give it a context. The Rose being so symbolic, I have treated this one in a more conventionalized way from the point of view of design.